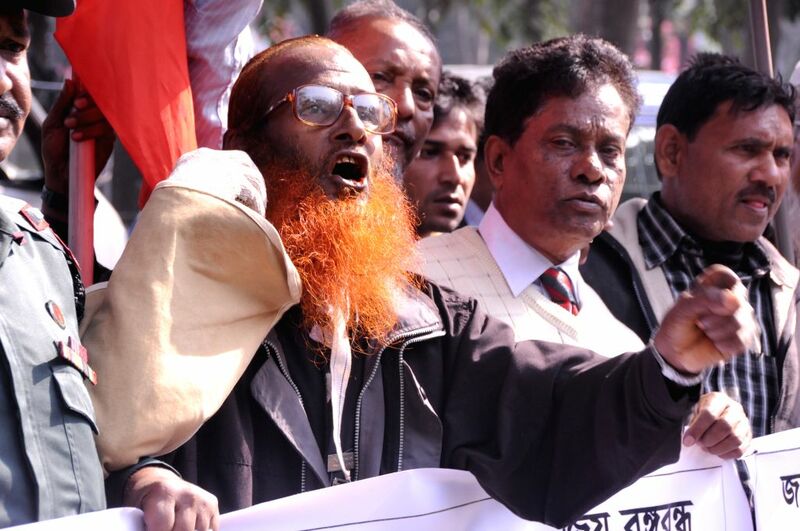 DHAKA, Dec. 23, 2014 - Bangladeshi activists shout slogans during a protest rally to demand capital punishment ahead of the verdict announcement in Dhaka, Bangladesh, Dec. 23, 2014. Bangladesh's International Crimes Tribunal (ICT-1) found the former Minister Syed Mohammed Kaiser guilty of collaborating with Pakistani forces and committing war crimes including mass killings during the country's Liberation War in 1971, and has sentenced him to death. 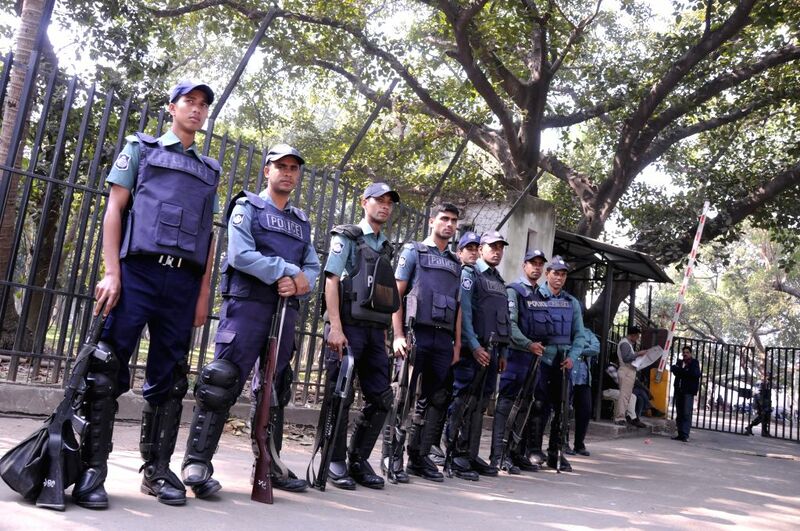 Bangladeshi police stand guard in front of the Supreme Court during a verdict announcement in Dhaka, Bangladesh, Dec. 23, 2014. Bangladesh's International Crimes Tribunal (ICT)-1 found the former Minister Syed Mohammed Kaiser guilty of collaborating with Pakistani forces and committing war crimes including mass killings during the country's Liberation War in 1971, and has sentenced him to death.